So how does one install this for 1.21.2? I had assumed the .zip files needed to be unpacked? Tried that and the game just crashes. Tried leaving the .zip files alone, and didn't work. I have these files in the mods folder, but don't seem to be working. Tried using file 1.12.2-3.0.5-6.jar and 1.12.2-3.0.4.zip. There is no zip file. Put the jar in the mods folder. Remove anything else. Playing the 1.10.2 version. Just started using upgrades. 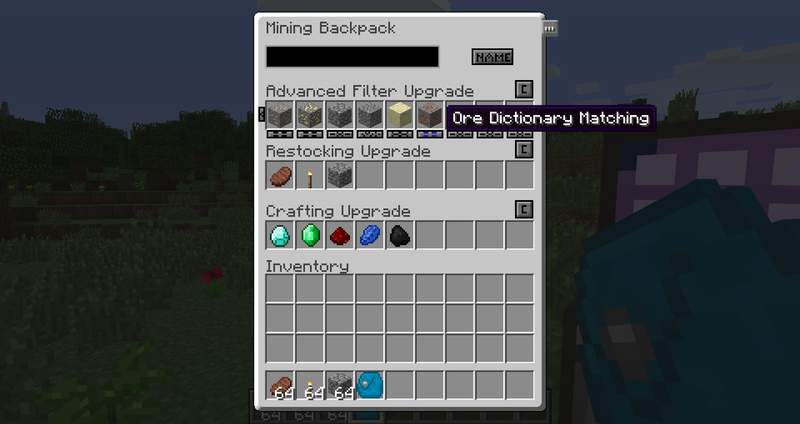 I have a Diamond Backpack +Storage emphasis with a Compression (3x3) and Basic Filter. 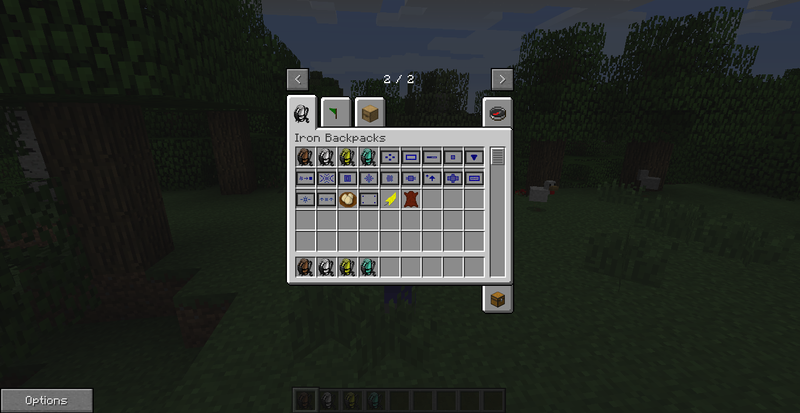 Unfortunately, in the backpack GUI, the item bars for the filters are completely missing. Am I doing it wrong? WOW nevermind. Just unequipped it and tried a shift+r-click and that brought it up. 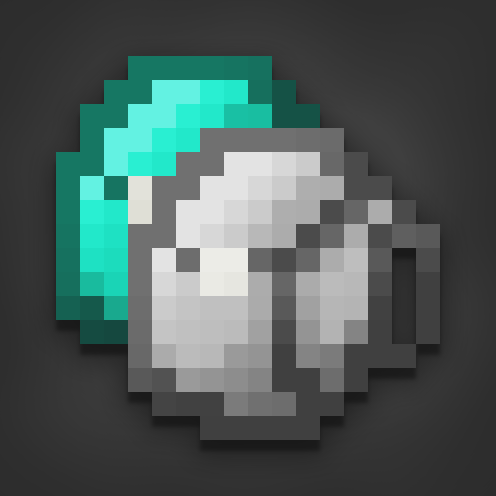 I'm currently playing All the mods 3 and can't seem to find any backpack upgrades available other than the blank upgrade, damage bar upgrade, latch upgrade, and extra upgrade point. 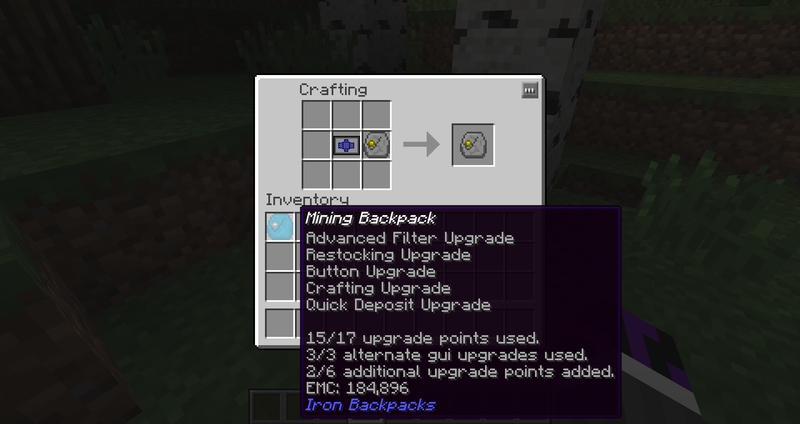 Were the other upgrades taken out of the pack or are they in some gui I don't know of or what? I'm confused here. Crash due to RuntimeException: Slot 27 not in valid range - [0,27]. Dunno have you tried not being outdated? 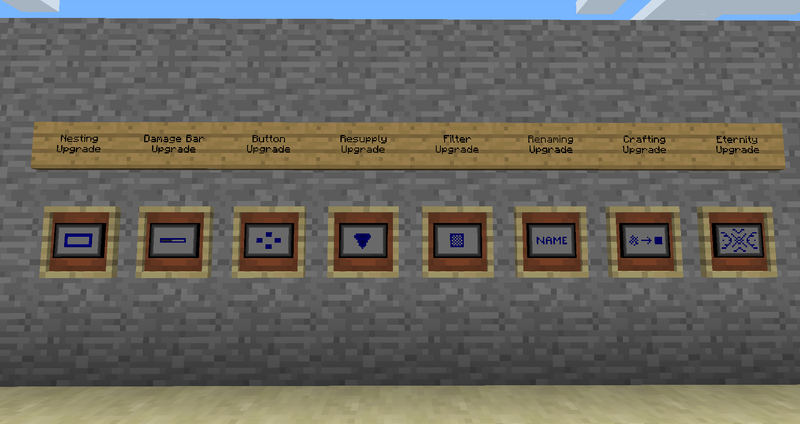 If on 1.12 you have to apply via anvil. Edit: I should mention that specific upgrade was basically all TehNut's implementation, thanks should go to him. This is an amazing mod. Good job! 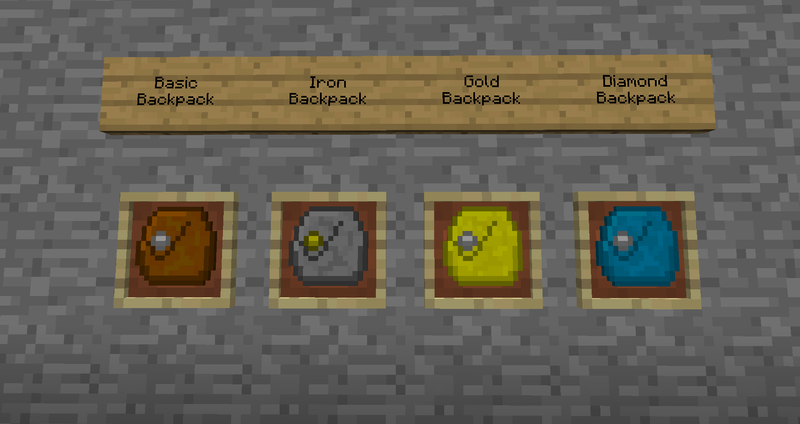 is there a way in 1.12.2 to wear the backpack like previous versions? And if so can i ask what the controls are? This has not been added back yet. It should come in future release. See the page above for information.